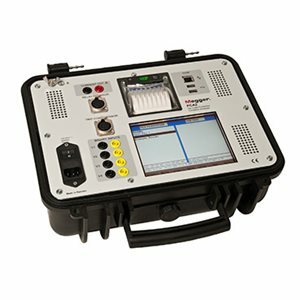 Developed in conjunction with a major European utility, the PCA2 incorporates an advanced current injection unit together with a deep-memory high-resolution multichannel current/voltage/contact-event recorder. Both injection and recording functions can be used together or totally independently. All instrument control is via a bright high-resolution colour touch-screen. The built-in printer provides an instant hard-copy printout. The USB port enables quick and convenient results transfer to a PC via ‘pen drives’ as well as the use of a barcode reader for quick site data entry.